Sheena Moore, LMSW is the Title IV-E Program Specialist and Part-Time Lecturer in the BSW Program. 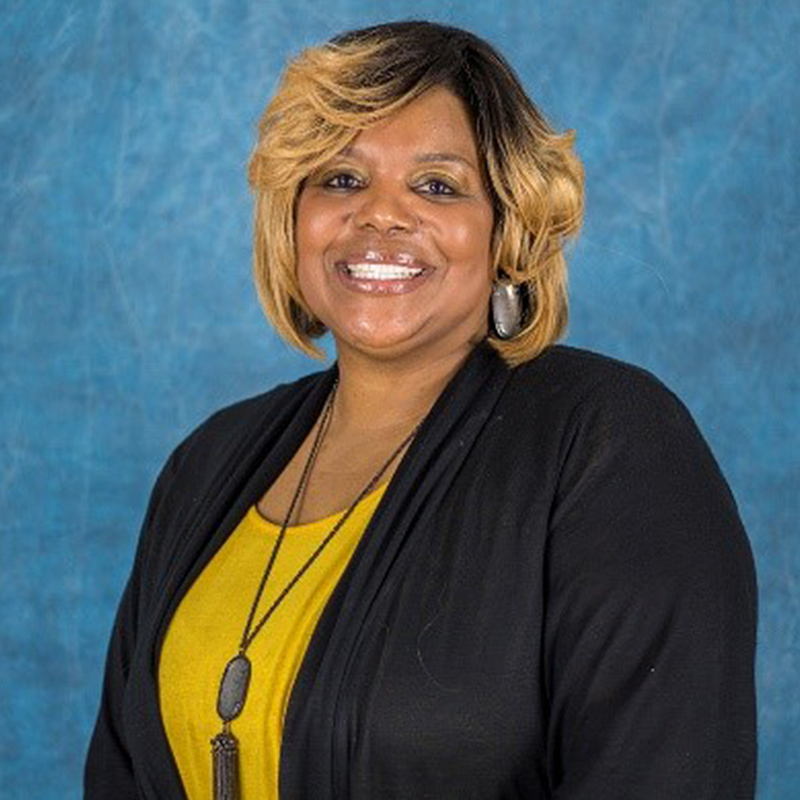 Mrs. Moore holds a Bachelor’s Degree in Social Work from TAMU-CT and a Master’s Degree in Social Work with a Specialization in Homeless Education from Baylor University. She is currently pursuing her PhD in Human and Social Services with a concentration in Higher Education. Prior to joining faculty at A&M-Central Texas, she was an Adjunct faculty member at TAMUCT. As a social worker she worked with defendants that were diagnosed with mental health, and at-risk students and families. While a Site Coordinator, she submitted and was awarded two grants to Wal-Mart, which assisted with quality of enrichment activities in Communities In Schools Program on campus. Mrs. Moore served honorably in the United States Army for 22 ½ years and retired in 2012. Her current community involvement includes Serving on the Field Advisory Board; Foster Love Board of Directors; National Association of Social Workers-Texas Marketing Subcommittee; National Association of Social Workers-Central Texas Program Chair and Steering Committee; Wreaths for Vets, Women’s Ministry, Relay for Life, Point and Time Count Survey. She also holds memberships with the Council on Social Worker Education, Student Association of Social Workers, National Association of Social Workers, and Phi Alpha Honor Society. Mrs. Moore also teaches such courses as Title IV-E, Field Seminar, Social Work Research Statistics, and Methods and Skills of Interviewing. Her current research areas include Homelessness, Child Welfare, and Interventions.